Kernow Fires are suppliers of the Dru Cosmo Eco Wave in Cornwall. 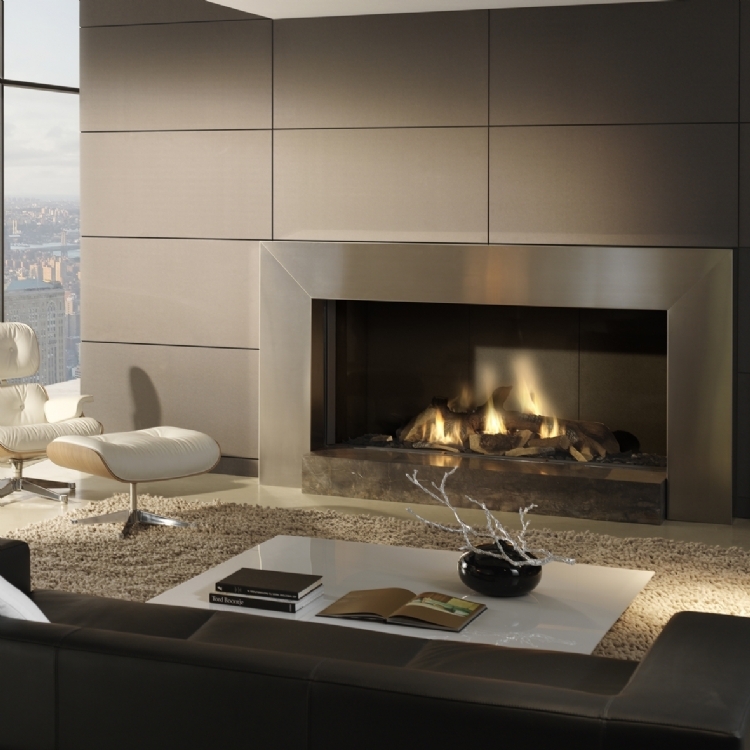 DRU Cosmo Eco Wave is a substantial and inspirational gas fire designed for large homes, spacious apartments and even hotels and restaurants. 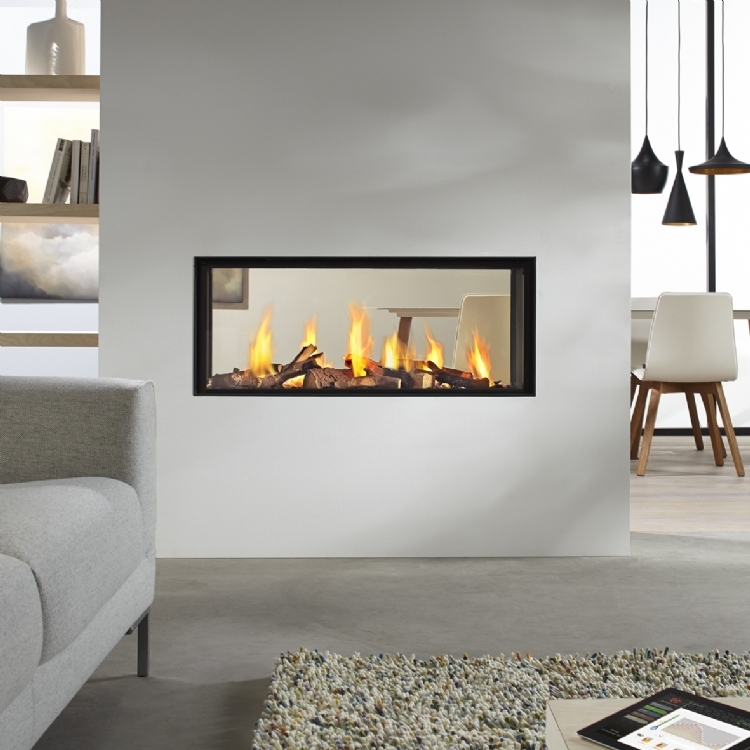 It is a 1.8 metre wide balanced flue fire with a massive 17.5 kW heat output. 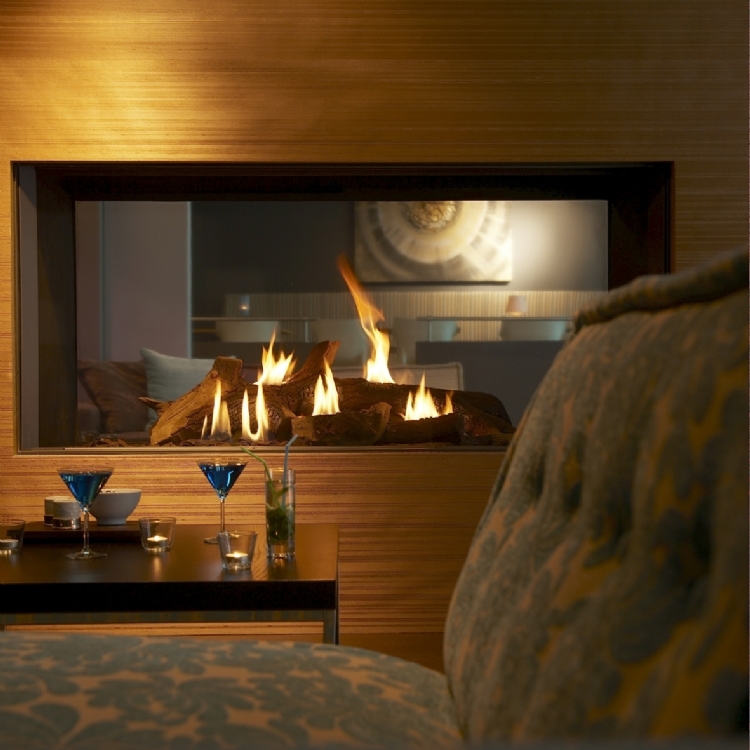 It has a large and authentic log fire display and can be installed into a wall or combined with matching fire surrounds and hearths as shown in the picture. 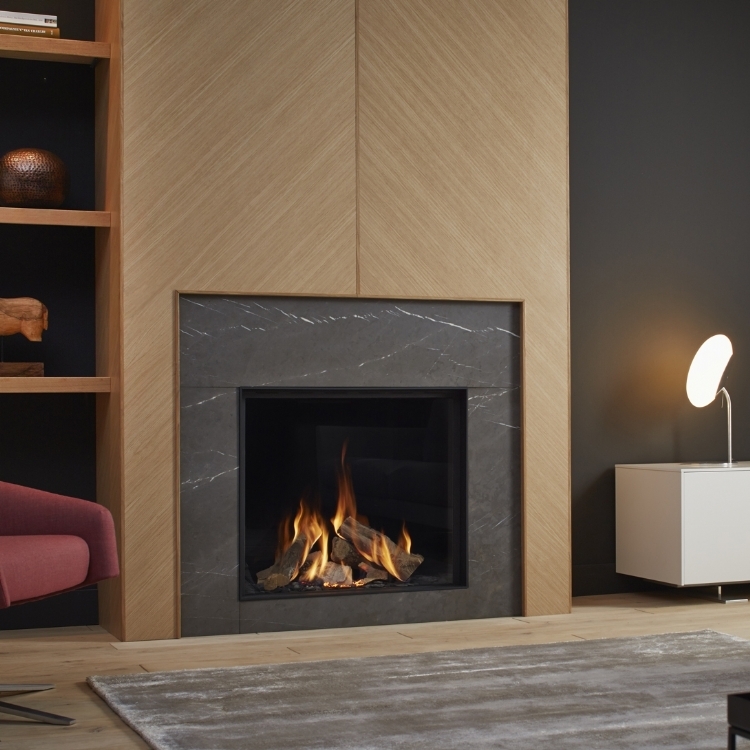 Ecowave programming system which allows you to programme the height of the flames throughout the evening from your ipad or phone, dropping the temperature during warmer times and increasing the flames again as would happen with a woodburning fire. The option of a clear anti-reflective glass is also available.